I'm going to jump on the DFF train of thought this week and pick up where Katie left off. 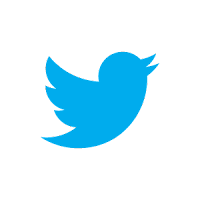 The book of Acts. I love how God's Word invites us into relationship with the Almighty, and moreso how the book of Acts, as Anitra and Katie have already mentioned, gives us an intimate picture of the lives of regular Joes unleashing the power and love of God, forever changing the world. I like to tell my students that if the book of Acts had continued to be written over the years, they would come to a chapter where they too would make an appearance. It's 2012. It's our turn to be the average Joes unleashing the power and love of God, forever changing the world. But when's the last time your shadow healed a sick guy on the side of the street? Anyone? Anyone? Me neither. The truth is, though, Christians all over the world today are tasting what it means to walk in the supernatural lifestyle the disciples were accustomed to. Jesus wasn't kidding when He said, "I tell you the truth, anyone who believes in me will do the same works I have done, and even greater works, because I am going to be with the Father." (John 14:!2 NLT) People are praying for the sick and seeing them healed, watching food be multiplied, experiencing powerful community through churches and small groups, and seeing multitudes come to Christ by boldly preaching the gospel. In my journey of faith I used to shy away from any mention of supernatural, or miracles, signs, and wonders because it seemed too sensational, experiential, or showy. "Let's be reasonable, Jesus doesn't need a showman," I thought. It's true, He doesn't. But what I discovered is that this perspective in my life kind of left the Holy Spirit out to dry. The One who raised Christ from the dead was raring to go inside of me, and I was a little unsure of what it might look like if He had His way. Might get messy. Might be offensive. Might look a little like the book of Acts. 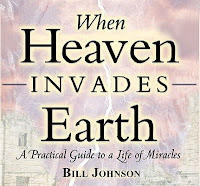 My required reading for you is a book that delves into this very topic, When Heaven Invades Earth: A Practical Guide to a Life of Miracles by Bill Johnson. I love how this book addresses what it looks like to walk like the disciples walked in the book of Acts, recounts modern day testimonies of God's powerful work through His children, and examines God's Word for His promises and Truth on the matter - to esteem nothing above the greatest gift of all, knowing Christ and to walk in great love for Him and for others. Warning: This could be a book that challenges. But being challenged helps us grow, right? 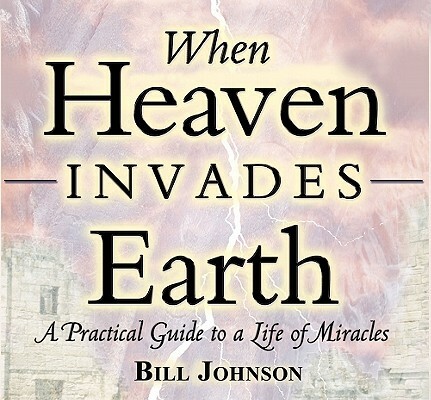 I highly recommend reading this one with a Bible at hand so you can dig deeper and dialogue with the Lord about questions it might bring to mind.